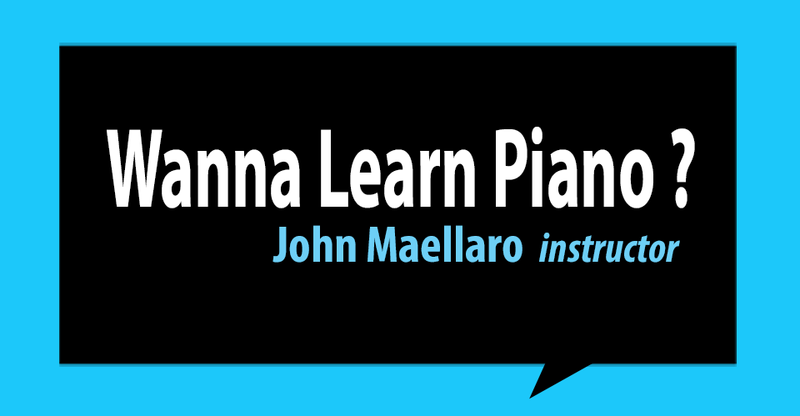 Piano lessons are taught in a comfortable room on a Yamaha upright grand piano. 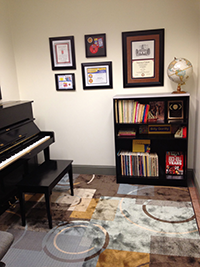 The "Wanna Learn Piano" teaching studio is easy to find, it's the first door on the right as you enter the building. And there's plenty of free parking right out front and to the side of the building. Parents are invited to sit in the teaching room with their child, or may wait in the sitting area just outside of the teaching room. Private lessons (30 minutes per week) are $120.00 a month, based on a 4 week month. On the occasional 5 week month, the fee is $150.00. Payment is due on the 1st lesson of each month. I understand things come up and you might have to miss a lesson every once in a while. We all have hectic schedules. It's very much appreciated and important to keep me informed if you are going to miss a lesson so I can modify my appointments. With 24 hours notice, I will do my best to reschedule a missed lesson within the same week. I have a full schedule, so at times this may not be possible. Side Note: I don't answer my phone during lessons. Each year we have a recital. It's a family event that everyone loves. The student performers range from beginners to advanced, young and old. I don't make the recitals mandatory, however I do strongly encourage each student to participate. 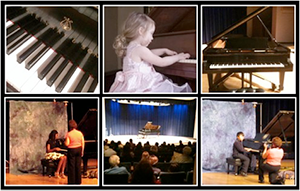 For the last 15 years the piano recital has been held in the beautiful Munson Hall at Azusa Pacific University. I customize each lesson to fit the child or adult students' needs. I don't teach to a certificate program, but I do make sure students learn all the same material. This allows for creativity and flexibility. Students are given theory, technique, and sight reading.... but the fun of playing the piano and the joy of music is always the focus. Along with teaching kids piano, I help them learn history, geography, math, and science as it pertains to the music lesson we're working on. If you are a parent that wants your child to gain the benefits of studying music, a person wanting to become a professional musician, or someone that just wants to sit and play the piano for enjoyment, I can help you. Have a favorite song you want to learn, but the music is too hard? I can write the music out in a way that you can play it. Kids get so excited when I teach them to play a song from their favorite video game or TV show. They can't wait to go home and practice. If, however, you're looking for a teacher that will yell at you and hit you over the knuckles with a ruler when you make a mistake then.... I'm not the teacher for you.